Wooden finish Ms Door. 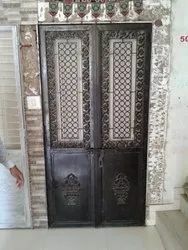 This door is totally made in iron, original product may differ in colour a little bit. 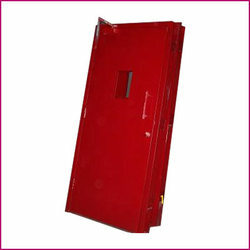 We are a unique entity in the industry, actively committed towards manufacturing the best quality range of Safety Door. Solid wood & stainless steel grill. We are leading manufacturer of Stainless Steel Doors.